There are plenty of opportunities to get outside and enjoy the wonders of fall in Glens Falls and the surrounding area. Whether you prefer a brisk walk, meandering uphill toward a vista, or just cruising along a bike path, there's something for everyone this season. When you want to experience the changing colors of fall at your own pace, take a hike! 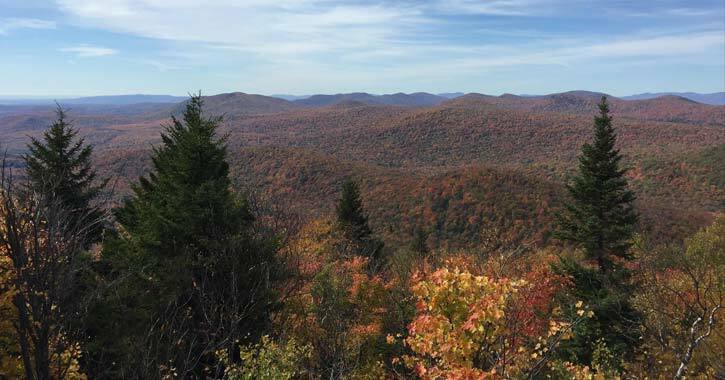 While the Glens Falls Region features a wide range of parks that are perfect for leaf peeping, there are also some great hikes located in nearby Lake George and the Adirondacks that are recommended. With its playground and short trail, Hovey Pond Park is a fun place to bring the younger kids during fall. You can take in the wonderful views of the surrounding trees and colors and enjoy a walk around the pond. There is also interpretive signage throughout the park. These two sites are located right next to each other and feature beautiful scenery and accessible trails. While Crandall Park is perfect for a fall picnic with the family, Cole's Woods offers visitors a vast trail network through a forested area. In Lake George, the Prospect Mountain hike is roughly 3 miles round trip and is a fantastic choice to see fall foliage. If hiking is not for you, then you can drive up the Veterans Memorial Highway when it is open (for a fee). Take the whole family for an easy hike through the Pilot Knob Preserve on Lake George. It should take most families only 30 minutes to hike, and the end of the trail features a gazebo that overlooks the lake. Enjoy the crisp, fall air as you ride your bike through the Glens Falls Region. There are a couple great areas that are made for mountain bikers and are ideal for leaf peeping too. 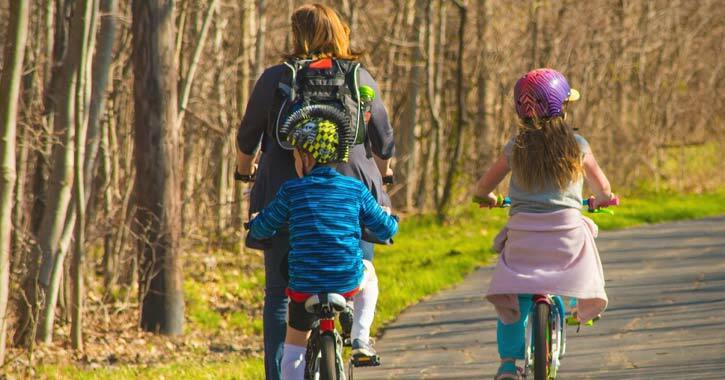 This 9.5-mile long bike path travels from Lake George through Glens Falls and is an exciting way to spend a fall afternoon. The trail brings riders through the woods and features picnic tables along the way. For some of the best fall foliage views in the entire region, take your mountain bike to West Mountain in Queensbury, NY. The trails open up for mountain biking during the summer and fall. You can even take a scenic chairlift ride to the top! (Note: West Mountain's Mountain Bike Park is closed for summer 2018 and expected to reopen either late fall 2018 or summer 2019). In Queensbury, NY, you'll find the Gurney Lane Recreation Area, which offers visitors over 13 miles of single track and double track mountain bike trails.